For the coffee diehards, the morning coffee cup matters a lot. It has the power of determining the course of your day. If you enjoy brewing your coffee, then you already know that a good coffee maker and high-quality coffee beans are a necessity to making a great cup of coffee or espresso shot. When it comes to whole coffee beans, the market offers a variety each with distinct qualities and hence different prices. In the review, we will look at some of the best cheap coffee beans that you should consider. 1.1.2 What Makes Don Pablo Coffee Special? Here is the list 15 best cheap whole coffee bean with great taste. On our list areonly coffees that are appropriate for people with low budget. Everyone knows that it is better to buy whole coffee beans than grounds coffee if you want to fully enjoy the real taste of coffee. The low price of these coffee beans this time does not affect the quality of the coffee beans. Cafe Don Pablo Coffee is a 100% Arabica, light, medium-dark or dark roast whole bean coffee from Honduras, Marcala region. Coffee roasted in the US in Miami. The coffee (dark roast) is purely organic, having been grown under composted coffee cherries as fertilizer. These are mixed with a little amount of vermiculture and hence keeping all insects away so no need of insecticide. To handle the bugs that may be present from time to time, farmers plant pepper which a very effective repellant. What Makes Don Pablo Coffee Special? 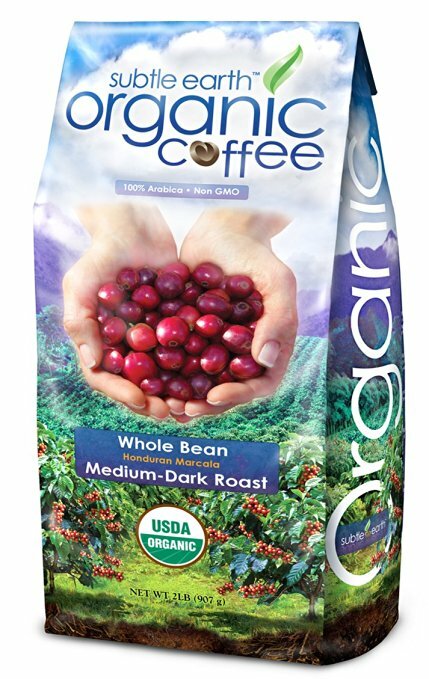 This 2LBS organic coffee has several benefits in additional to its affordable price. It is CCOF certified and GMO-free. The coffee is roasted in small amounts which enhance its flavor depth, density, and natural, flavorful characteristics. 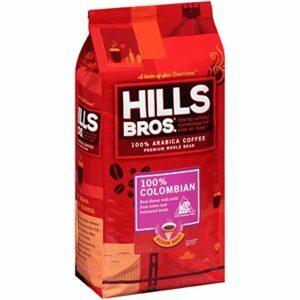 These coffee beans are 100% Arabica grown in high altitude areas of 4,000-5,000 feet above sea level. This type of altitude slows the speed of maturity for the coffee beans giving them an opportunity to become dense, naturally gain lower levels of caffeine, and become less acidic. Further, the beans are carefully blend, roasted, and packaged to deliver the freshest beverage that you will savor at every sip. – Has a smooth pecan toast flavor, very aromatic, rich crema. This coffee is not to much sweet like some other flavored coffees. – Toasted Pecan is medium-light roasted. – It gives an intense flavor with hints of caramel that comes out nicely. Once you open the bag, you are hit by a amazing pecan smell, and upon brew, you get one of the smoothest coffee cups you have ever had. If you like flavored coffee and pecan aroma this is great whole coffee beans to buy for really inexpensive price. 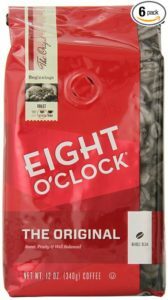 The Eight O’clock Coffee Company uses high quality Arabica coffee beans and has been roasting the best inexpensive whole bean coffee since 1859. To ensure freshness of the coffee, these beans are packed immediately after roasting in a bag that locks properly to retain the freshness. Roasted in the US in Maryland. It has high but good amounts of caffeine. They have a strong sweet taste with fruity notes and a balanced finish. Available at an affordable price compared to other whole coffee beans. We listed Eight O’Clock The Original 6 bag pack because if you buy 6 pack you get much cheaper price, even cheaper than most other whole coffee beans in our list. If you love grinding your own coffee beans and still have an original coffee taste, the Eight O’clock coffee beans is the right choice. Even after being in the market for over ten decades, they have maintained quality and flavor of their coffee. If you compare buying the 6 bag shipment of this coffee to other premium coffee, this is way cheaper and better. If you do not like fancy packaging, different flavors, if you are heavy coffee drinker and you want that coffee tastes like coffee then Eight O’Clock The Original is right coffee for you. The list for the cheapest whole bean coffee won’t be complete without mentioning Coffee Bean Direct Poor Man’s Blend. The beans are slow roasted to maximize their flavor and packed immediately after roasting to retain the tang. The name is a representation of its affordable price, but otherwise, it is a quality blend of a mix of South America’s best coffee beans. It is suitable for use in both home, office, restaurants, and food services. It is lightly roasted such that the oils and caffeine of these beans enrich your coffee cup. Another coffee by Coffee Bean Direct. 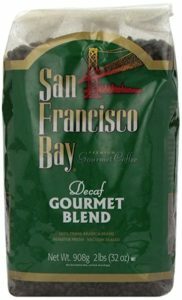 Made of 100% Dark Brazilian Coffee Beans, this 5-pound bag is an excellent choice if you are looking for inexpensive dark roast coffee whole beans. They are slowly roasted to give them a strong flavor and packed soon after roasting which helps them maintain freshness for long. Rich in full-bodied flavor and maintains high smoothness. Low in acidity making it a perfect choice for a dark roast with low levels of acid. Fresh and smooth making them produce excellent espresso shots. The beans are perfect for either drip coffee or espresso shots. Have a mild complexity in the midst of lightly burnt and non-bitter taste. You can subscribe and save more money. We recommend Dark Brazilian Santos to coffee drinkers who love strong and intense coffee flavor. We are not paid by Coffee Bean Direct (still 🙂 they can feel free to send us some dollars) In our list we must include another cheap and great whole bean coffee by Coffee Bean Direct. The Jamaican Me Crazy coffee beans use a special coffee blend which helps bring best both natural and artificial flavors of these beans. 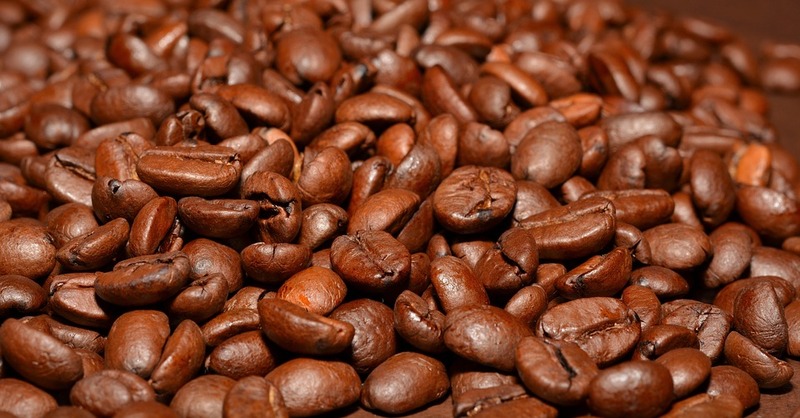 The coffee beans are of high quality in addition to giving you value for money. They are strongly flavored using both natural and artificial flavors such as the tiny orange zests which make the orange flavored coffee. It is fluffier with a rich and dense aroma. These beans are packed such that they do not lose their flavor. 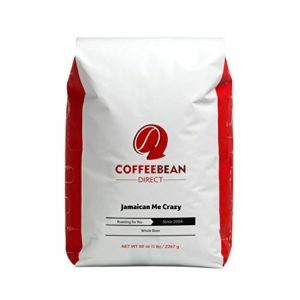 If you like to try different flavored coffee than you must try Jamaican Me Crazy coffee beans. 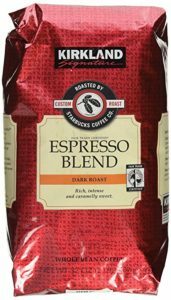 The Kirkland Signature is roasted by Starbucks and happens to be one of the best affordable dark roast whole bean coffee in the market. You can save more money if you buy 2 pack 32 ounce. Coffee beans has a strong French roast taste making it the perfect choice for those who love strong French coffee. Grinding these beans the right way gives you a taste, not so different from the Starbucks coffee. Dark roasted to compliment the milk flavor for an excellent cup of latte. The beans are full-bodied and bold. They are rich, intense with a sweet caramelly flavor. They are fresh tasting and properly roasted to minimize the brittleness. If you like Starbucks French Roast than you must love Kirkland Espresso Blend. 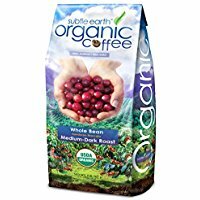 For this price this is the best dark roast (not too dark) coffee beans. These coffee beans are made of the highest grade of 100 percent Arabica coffee from Flores Island, Indonesia. Additionally, they are passed through slow roasting in small batches which helps them retain a strong flavor. To ensure they reach to your while still fresh, the beans are packed immediately after roasting. Strong with a complex flavor. They have a balanced acidity. 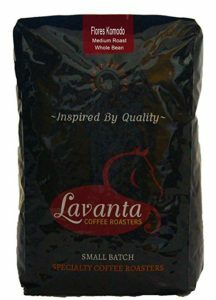 Lavanta Coffee Roasters have medium and dark roasted coffee beans. They have a consistent roast that leaves the beans dark with no traces of burning. They have low acidity levels. It is smooth with a strong taste making it hard to note that it is decaf. They are medium-dark-roasted which prevent a bitter taste. They have a natural caramel and cocoa flavor with hints of citrus. We recommend if you are looking good tasting decaf beans and want to have great coffee without caffeine. Cooper Moon beans are carefully roasted to produce light roasted quality coffee beans. It has a smooth taste with no traces of bitterness. Additionally, the beans make fresh and mild tasting coffee. The Copper Moon Columbian Coffee is best for people who like adding sugar in their cup of coffee considering the little sour taste. These coffee beans are unique in that despite their affordability; they are also the best for picky coffee drinkers. They also give you value for money considering they come in three packs. They have a mild flavor and smooth taste. They are sweet light and don’t taste burnt. They are solid choice for light medium roast coffee beans available at an affordable price. 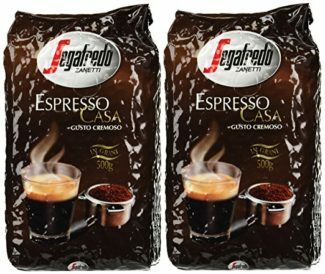 Segafredo Casa coffee beans is dark roasted with a strong aroma. Has distinctive nut and ash taste but it is not burnt. They are dry beans and have a long shelf life as long as you store under favorable temperatures. These beans are some of the best affordable whole bean coffee which provide good crema quality even to those who have little barista skills. They are dark roast with no bitter taste. They have a rich flavor and a smooth taste. They have a well-balanced acidity and mellowness. Despite the dark roast, this coffee is most suitable for people who don’t like French roast. They are whole beans with subtle cinnamon and hazelnut flavor. It is mountain water decaffeinated and caramelized with cinnamon. It is packed in nitrogen-flushed bags which help retain freshness. These coffee beans are the best for anyone looking full bodied coffee beans with no harshness and have a strong aroma for an affordable price. We recommend this Sumatra Mandheling coffee beans for full-bodied coffee flavor lovers. Chocolaty taste with a smooth finish. The real deal about this coffee is that you can grind it with whey, yogurt protein, and walnut to produce and excellent taste. These are the best affordable whole bean coffee you can find the market. On our list of best first of all we looked at the relationship price, quality and taste. You need to know that people have different opinion and what is good for us maybe is not good for you. But whichever coffee beans you choose from the ones discussed above, they have balanced flavors to make you savor very cup you drain. And you can save a lot of money buying some great and cheap coffee beans. Eight O’clock is my choice. Robust, aromatic, and not to acid as some other coffee brands on list. Nespresso Inissia vs Vertuoline Evoluo Comparison – Which nespresso machine is better for you?